Download these instructions as a PDF file from a secure Amazon location. Before proceeding with the application of an Equinell™ product, please use the table below to confirm you’re applying the correct one. If you need to make an additional purchase or exchange your product for another, please contact us. Please follow these guidelines for every form of Equinell™. We realize Equinell™ isn’t cheap. We wish it was. But it isn’t, and we want you to both succeed, and not spend any more money than you have to. Following these guidelines will allow you to be as economical as possible with the products without sacrificing results. Always remember that although Equinell™ products can help, they are not a substitute for veterinary or farrier care. Some conditions such as skin cancer, canker in feet, and diseases such as metabolic laminitis, cannot be helped by any topical treatment. The bottle cap has a pointy tip for two purposes. It allows you pinpoint accuracy when applying the products, and it allows you to get through thick hair to get the product right on the skin where you want it. Also, if the bottle gets knocked over, it won’t spill out onto the floor. Please don’t poke the tip into sore spots on the hoof or you may get kicked! Also, never squirt any Equinell™ product into a hole in the skin. NOTICE: Use of nitrile rubber gloves is always recommended, but not absolutely necessary. Eye contact will sting. If eye contact occurs, wash area with warm soapy water. DO NOT TAKE INTERNALLY. KEEP AWAY FROM CHILDREN AND PETS. IF SWALLOWED, CALL PHYSICIAN OR POISON CONTROL CENTER IMMEDIATELY. Unopened containers of Equinell™ products can be stored pretty much anywhere away from strong light. Opened containers of Equinell™ products should be used within 4-6 months. The key is to open one container and use it, rather than having several open containers. Opened containers should have the twist top closed between uses. Besides preventing accidental spills, a closed top will prevent oxygen from getting to the product. The oxygen in the air will slowly degrade Equinell™ products. Keep out of direct light. Can be stored at room temperature. Refrigeration does not extend the life of the product. Clean the foot thoroughly, especially the grooves on and around the frog, and the white line. If the horse reacts from pain, do the best you can without causing more pain than necessary. It is better to leave debris in place than to distress the horse. Equinell™ Hoof and Mane Oil is best applied to dry feet. If there is visible moisture on the surface of the foot, penetration will be poor. Clean the feet and allow the horse to stand on a dry surface until the feet are dry. If you are using a fresh bottle, please remove the safety seal before you begin. Please don’t push the tip hard into any openings in the hoof. Beginning at the heel, dribble Equinell™ Hoof and Mane Oil into the groove in the center of the frog. Drip it in slowly until a small amount appears at the tip of the frog. Apply a small amount to the grooves on either side of the frog. If the grooves are too deep to see the bottom, drip it in slowly near the heel until a small amount appears at the tip of the frog. Otherwise the goal is to lightly moisten the area. Apply a thin line to the white line, all the way from the heel bulb to the other heel bulb, allowing a little to run inside the bars. With a zig zag motion, apply a small amount to the sole. You do not need to cover every tiny area, and you only need enough to moisten the surface. Trust Equinell™ Hoof and Mane Oil to get where it needs to be. Use just enough to lightly wet the surface tissue. Some people prefer to use a small brush. The goal is to use enough to coat the tissue, but not enough to leave a hoof print on the ground. A few small spots are fine. After the frog has grown out you will be able to see exactly how much to apply. Place a drop or two on the ergot, as you apply to the hooves. Hold the foot for a few seconds before you set it down. Frequency and Duration: To start, apply weekly for 3 weeks. Then, apply monthly for best results. Or apply right after trimming (6 week schedule) as part of regular hoof care. For a tender footed horse, or for a horse with immediate problems, use Equinell™ Hoof and Mane Oil no more than once every three days, for no more than two weeks. When the problems subside, and the hoof looks and feels good, once per month is enough. More is not better. On mane and tail, apply as soon as possible if you see rubbing! Not only do you want the hair undamaged, sunburn might damage the skin to the point where the hair does not regrow. If you are using a fresh bottle, please remove the safety seal before you begin. Place a few drops of Equinell™ Hoof and Mane Oil on the skin at the base of the hair in the problem spot. If you are applying to the tail, part the hair, and place a few drops on the skin, massaging in gently. You may need to apply to a few small areas close together. Use a small amount, just enough to moisten the skin, and if the oil begins to run off the hair, immediately massage it into the skin (wearing gloves). Be careful to avoid the sensitive skin under the tail. Avoid covering the area/s after treatment, until the problem is resolved. Frequency and Duration: Apply every three to seven days until no rubbing is noted and the hair is growing normally. More is not better! For skin areas larger than the palm of your hand, Equinell™ Shampoo is preferred. Equinell™ Hoof and Mane Oil is a perfect rescue treatment, but if possible, follow up with Equinell™ Shampoo (see appropriate section below based on length of hair involved). 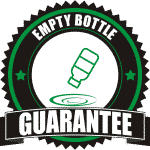 If you are using a fresh bottle, please remove the safety seal before you begin. Nitrile gloves are recommended. If the area is dirty, prior to using Equinell™ Shampoo we suggest washing with a mild soap or shampoo to clean the area before applying Equinell™ Shampoo, to minimize waste. Rinse thoroughly. Wet area with lukewarm to cool water. Apply Equinell™ Shampoo sparingly, enough to work up a small amount of lather. Massage in gently for a few seconds (wearing gloves), then allow to remain for ten minutes before rinsing. Do not scrub hard. If crusting or scabs are present, gently soak them until they come free, and then massage fresh Shampoo into the area. If possible wash a larger area than seems to be involved, to prevent spreading. After washing, towel dry, or allow to dry naturally. Cooling sheets are fine, but avoid wraps or blankets until the area is completely dry. We strongly suggest leaving the area open to air, unless a wound needs protection. Frequency and Duration: Continue weekly shampoos as long as necessary, but you shouldn’t need more than a month or so before the intervals can lengthen. For more severe cases, repeat in three or four days and then drop back to once per week. If the horse is only itchy, and has no wounds or drainage, use Equinell™ Shampoo once per week for three weeks, then as needed if the horse becomes itchy. Usually once per month will keep the horse comfortable. If your horse is scratching for sweet itch, mites, or fly bites, Equinell™ Hoof and Mane Oil will stop the itching, and help repel the insects that are causing the problem. Equinell™ Hoof and Mane Oil will work quickly. As a general rule, if you can smell Equinell™ Hoof and Mane Oil on the horse, so can the insects. They usually stay far away. Repeat once a day for 3 days. If you are using a fresh bottle, please remove the safety seal before you begin.Nitrile gloves are recommended. Area can be wet or dry, but should be clean. If the area is dirty we suggest washing first with a mild soap or shampoo to minimize waste. Using the tip of the bottle, apply Equinell™ Shampoo to the skin beneath the hair. If dry, use a little water (a spray bottle works well for this) to work the shampoo into the skin. Allow ten minutes before rinsing, then rinse thoroughly with cool water. For maintenance on legs with CPL, be extremely careful to work the Equinell™ Shampoo into the skin folds and scars. Do not force the tip of the bottle in, instead place the Shampoo on the skin (never into any holes!) and work it in with your fingertips (wearing gloves). BE CAREFUL WHEN YOU DO THIS! You will probably trigger a stomp! This reaction should reduce within a few minutes when the itching stops. Allow Equinell™ Shampoo to remain for at least ten minutes, then rinse carefully with cool water. When you think you have rinsed off all the Shampoo, rinse again. Use a firm spray directed into the skin folds and scars, but don’t spray directly into open sores or wounds. If the horse has nodules, apply Equinell™ Hoof and Mane Oil to these either the day before, or after the legs are completely dry. We strongly suggest applying a few drops to the ergots at the same time. Always allow the skin to dry completely. A hair drier set to cool is useful if conditions are wet, or the horse has very heavy feathers. Frequency and Duration: Continue weekly shampoos as long as necessary, but you shouldn’t need more than a month or so before the intervals can lengthen. For more severe cases, repeat in three or four days and then drop back to once per week. If the horse is only itchy, and has no wounds or drainage, use Equinell™ Shampoo once per week for three weeks, then as needed if the horse becomes itchy. Usually once per month will keep the horse comfortable. This is long, but if you are dealing with this terrible condition it helps to understand what it is. The main takeaway here is that there is hope, and this is something you can reduce to a nuisance condition. Your horse can live a normal, comfortable life, looking and feeling good. Remember, Equinell™ products are not medicines and we are not suggesting that we have a cure for CPL. We believe CPL is the end result of a series of events. Each individual contributing factor in CPL has been around for a long, long time. The “feather mites” of old, which became sarcoptic mange, and is now, we believe, the mover and shaker of this disorder, may have changed. The rest has always been with us. The old timers would have used preparations of heavy metals to control the problem. Lead and mercury salts will kill mites (and pretty much everything else) before they can cause more than a mild itching. Without the mites, the other infections are unlikely to cause serious problems. Mites cause serious trouble when they colonize mammalian skin. In dogs they cause mange, either sarcoptic or demodectic. In humans they are called scabies. The mites that affect horses seem to be bovine skin mites. Some horses are severely affected, and others aren’t. They seem to be able to live in “normal” skin without causing disease in some cases, in other cases the mites die fairly quickly. On the feathered leg, the severity of the condition seems to be related to the amount and coarseness of the hair. The more and the coarser the hair, the worse the condition. All horses can get pastern dermatitis, but thicker, coarser hair predisposes the horse to worse disease. There is a very good chance pastern dermatitis leads to CPL. So, it needs to be dealt with rather than ignored. To begin with, the mites cause a mild irritation, becoming more severe as the immune response begins to fight the infection. The horse gets itchy, and begins to rub, and often to bite the legs. This causes several things to happen. First, the exudate from the mange begins to invite secondary infections. These move into the skin through the wounds the horse creates by scratching. Second, biting at the legs, and scratching with the lips and teeth spreads the infection from one horse to another through social grooming. Brushes, tack, and other gear also move the mites and infection. The mites can live as much as three days off the skin. The other infections can live much longer. The mange worsens, and the skin on the legs begins to thicken. The condition is still impossible to see from even a few feet away, unless you part the hair and feel the skin. The horse is miserable long before you can see that there is a problem. Slip your fingers into the hair, and feel the skin for swelling and irritation. It will be hot and tight. The horse often resists having his legs wetted at this point. As the swelling progresses, normal leg and foot movement compresses the swollen skin into folds, then presses the folds into plates. It is in between these folds, where the skin surfaces press together, that the real trouble begins. Every infection the horse encounters, and there are many, sets up housekeeping in the skin. At this point there is a fair amount of drainage, which may be seen from time to time. But you would still not really notice the problem with a heavy feathered horse. The hair hides it. Taken individually, microbes and parasites are dumb little things, but collectively they are chillingly purposeful. Together they create conditions ideal for their survival. Unfortunately, at this point the horse is probably doomed to a miserable death, unless someone intervenes. At some point, the organisms that cause thrush (most of these horses have thrush to some degree) jump from the hoof to the wounds in the leg. Fusobacterium necrophorum (thrush) requires a place to grow without oxygen, and the skin folds and drainage have provided that. The first sign is the smell of rotting meat. As the necrophorum infection progresses it creates air free pockets, and these begin to grow. These can reach enormous sizes. These nodules are called “grapes”. As they grow, they restrict the normal movement of the leg, and add to the log-like appearance. The grapelike growths you may find are usually caused by the same organism that causes thrush in the hoof. It causes the rotting meat smell that accompanies CPL. OK, this might be time to panic. Eventually flies become attracted to the smell and heat, and lay eggs in between the folds of skin. The resulting maggots mostly consume the drainage, the horse feels the movement, and stamps his feet to displace them. If the infection has progressed to the point where the horse is overwhelmed by the infections and the maggot infestation, it will die from sepsis as the maggots destroy what remains of the skin and the tissues underneath. Surprisingly, most horses can fight off several rounds of this before they reach the terminal stage. Often, the owners will prevent flies from laying eggs, and will treat the various infections successfully enough to keep the horse alive for years. However, by some estimates the life span of these horses is reduced by half, and it can’t be a pleasant or comfortable life. DON’T PANIC, IT WASTES VALUABLE TIME. THIS CAN BE FIXED IF YOU ACT QUICKLY. We very strongly suggest you call the vet. They will likely give antibiotics and tetanus prevention, and treat for the maggots. Be very alert to sequential hatches of maggots! You might need to repeat the treatment several times at eight to twelve hour intervals. Be careful; horses with CPL usually resist having their legs wetted, and they are miserable and sick. Equinell™ products will kill maggots, so if there are only a few, you can go right to this step, if the horse allows. However, you will still need to be vigilant for hatching eggs. Now you can begin with Equinell™ Hoof and Mane Oil. For combative horses, or for horses that have concretions (buildup of matted hair, pus, etc.) on their legs, use a single application of Equinell™ Hoof and Mane Oil. Using the squeeze bottle gently saturate all the skin you can reach. DO NOT squirt any Equinell™ Hoof and Mane Oil into any holes in the skin you may find! Try to keep the legs dry. Clipping the legs makes treatment easier, but it isn’t necessary, and will likely be difficult. See section below titled Our Experience Clipping Horses for Application of Equinell™ Products. Let this sit for 12-24 hours (but no longer) before proceeding. If you have used Equinell™ Hoof and Mane Oil as the first application, you should not rinse, or try to remove it. Do NOT wrap the legs! Wrapping over Equinell™ Hoof and Mane Oil can cause a burning sensation, and this poor horse has been through enough. Washing with Equinell™ Shampoo the next day will remove all the remaining Equinell™ Hoof and Mane Oil. Otherwise, clip the hair as short as you can, and apply Equinell™ Shampoo to the dry leg. Use a spray bottle with warm water to work the Equinell™ Shampoo into the skin, gently massaging it into the folds (wearing gloves). Start on one leg and work your way around to all of the affected legs. Try to cover every bit of affected skin. When you have finished the last leg (if it has been ten to fifteen minutes) you can begin to rinse. At first the horse will probably resist, but the water shouldn’t cause discomfort, and the horse will calm down. Rinse thoroughly. We suggest when you think you have rinsed all the Equinell™ Shampoo off, rinse again. The skin is already damaged, and you don’t want any soap to remain. If the horse has not reached the stage where you can smell the rotting meat odor, and if it has not been attacked by maggots, you should repeat the Equinell™ Shampoo in a week. For more severe cases, repeat in three or four days and then drop back to once per week. If your first treatment was Equinell™ Hoof and Mane Oil, begin to use Equinell™ Shampoo as soon as possible (12-24 hours is best). You can continue weekly shampoos as long as necessary, but you shouldn’t need more than a month or so before the intervals can lengthen. If there are nodules (“grapes”), coat them with Equinell™ Hoof and Mane Oil once a week (one day before using Equinell™ Shampoo) until they are gone. Be gentle as you do this; don’t bruise or scrape them. Allow the legs to air dry. If conditions are wet, you can gently towel, or use a hair dryer on the cool setting. Leave them open to air; don’t wrap them. There is no way to predict exactly what you will find once you look under the hair. CPL can range from miserable to terminal; we strongly suggest that if the horse is on its feet you go ahead and begin treatment. Wear gloves! The organisms in an infected leg can infect you. If you are using a fresh bottle of Equinell™ Shampoo, remove the safety seal under the cap before you begin. BEFORE YOU BEGIN. It is helpful, but not necessary, to clip the legs. Clipping will allow you to see the areas, they will dry more quickly (not very important), and it will minimize waste. However, clipping is not a small undertaking. If the hair is matted and cannot be removed, is covered with drainage or maggot infestations, stop here and refer to the section Use of Equinell™ Products on a Horse with Chronic Progressive Lymphedema (CPL). If you do not already own a clipper that is capable of the task, you may find that it is more economical to just use more Equinell™ Shampoo. If you do clip, do not try to clip close and risk injuring the skin. See section below titled Our Experience Clipping Horses for Application of Equinell™ Products. The first shampoo is the most difficult. You will wash a larger area, spend more time, and use more shampoo than at any other time. As the involved area shrinks, you will require less time and Equinell™ Shampoo. The tip of the bottle is designed to penetrate hair. Do not insert it into skin folds. And NEVER insert it into any holes in the skin. These are insect boreholes. Any amount of Shampoo in these holes will cause great problems. Shampoo does not belong under the skin! Horses with CPL commonly resist having their legs wetted, because this seems to greatly increase the discomfort. If your horse is one of these, apply Equinell™ Shampoo on the dry leg. Use a spray bottle and cool water to work it into the skin. Use your fingertips (wearing gloves) to gently massage it into the skin folds and scars, and be very gentle on wounds, but try to remove any crusting. If the legs are very dirty you may need to wash more than once. If the horse allows, rinse the legs carefully with cool water to remove dirt before applying Equinell™ Shampoo. You can use a mild shampoo to remove dirt, before using Equinell™ Shampoo, to maximize the effect. Work your way around the horse, carefully shampooing each leg. Cover the entire area under long hair, and a little beyond that area. In most cases it is sufficient to wash to about two inches above the knees and hocks. Keep Equinell™ Shampoo on the horse for ten minutes or more, before beginning to rinse. By this time the worst of the discomfort should be gone, and the horse will allow you to rinse with a hose, once he discovers it doesn’t hurt. Use a firm spray (not a hard stream) to rinse, paying special attention to folds around the fetlocks and pasterns. If the horse has nodules be very gentle with them. When you think you have rinsed well enough, rinse again. Allow to dry completely. You can towel gently, but this is unnecessary. A hair dryer set on cool may be helpful. Leave the area open to air. Frequency and Duration: Continue weekly shampoos as long as necessary, but you shouldn’t need more than a month or so before the intervals can lengthen. For more severe cases, repeat in 3 – 4 days and then drop back to once per week. In a horse with “normal” hair, this is easy, don’t clip. The hair is there to protect the skin, and removing it leaves the skin unprotected against sunburn and mechanical damage, including the damage the clipper does during the clipping process. For the feathered draft horse the question isn’t quite as simple. First, CAN you clip? Without a heavy duty clippers the answer is NO. People who have not experienced feathers will not understand this. You aren’t getting through those with a scissors, or a light duty clippers. Fortunately, you shouldn’t have to. Formerly, with pastern dermatitis/CPL, the less moisture and the more air, the better. Even though people resisted clipping, most eventually did, for the sake of the horse. With Equinell™, though, you probably don’t have to. The main reason to clip is to avoid wasting any product, and we put a nice, pointy tip on the bottle so you can get down to the skin folds even with the hair in place. For the first use of Equinell™ Shampoo, it’s nice to have short hair, and usually the feathers are tatty from being rubbed and chewed on. But if they aren’t, and especially if you need to spend megabucks on a good heavy duty clipper, skip this step and just use more Equinell™ Shampoo. If you do clip, it will probably take six months to a year for the feathers to grow back. They should be fuller and longer. And by that time it shouldn’t take as much Equinell™ Shampoo to keep them that way. HOWEVER, if your horse has hair felted onto his legs, or if he has maggots, or concretions, you will need to clip. For the first treatment you can use Equinell™ Hoof and Mane Oil, but after that the skin should be less tender, and the felted hair and other crud will have to come off. The process will be much easier if the feathers are clipped very short. These horses often have nodules, or “grapes”, so be extremely careful, and don’t try to clip too close. Removing felts and concretions is a difficult process. Sometimes it might be necessary to sedate the horse, other times if you just go slow, over a week or so, you can clean the legs without sedation. Animals in pain are not entirely predictable. Even a healthy, comfortable horse has the potential to injure someone nearby, as you well know. It is easy to forget how big and strong they are, because they are usually so gentle with us. But you aren’t considering Equinell™ products because your horse is completely well and comfortable. We very much want everyone to be safe, including the horse. Through years of using these products, we have learned quite a bit about how and when (and why) your horse might react. But (AND THIS IS IMPORTANT) this is YOUR horse, and you know them a lot better than we do. Read this, apply the Equinell™ product(s) as suggested with your way of handling the horse, and all should be well.